If you're travelling to Orlando, these 3 activities are there to turn your trip into an unforgettable lifetime memory. Orlando is mostly known for its attractive theme parks. So while you are there, not taking this advantage of having fun at these reputable theme parks will be a great remorse. If you think these theme parks are just for children, it means that you’ve never experienced the theme parks in Orlando. In fact, it will leave you great lifetime memories and funny photographs. Read about them and just pick your own favorite. What’s your taste? Located in Sea World, Discovery Cove is an upscale theme park that can be entered only if you have a reservation. It accepts only a limited number of visitors each day so you don’t have to wait in annoying queues. In Discovery Cover you can swim with the dolphins and the tropical fish or feed the wild birds at the aviary! Epcot is located in Walt Disney World Resort and it is famous for its special fireworks and light shows at nights and the countries area. In this area you can find many things that belongs to some countries and feel like you are really there! In the middle there’s a huge famous manmade lake. Undoubtedly the most popular theme park in Orlando is world's premier movie and TV based theme park Universal Orlando Resort. In this reputable theme park, you’ll have the chance to join the magical worlds of The Wizarding World of Harry Potter™, Diagon Alley™, or TRANSFORMERS™. The 3D Simpsons Ride™ is also worth experiencing. 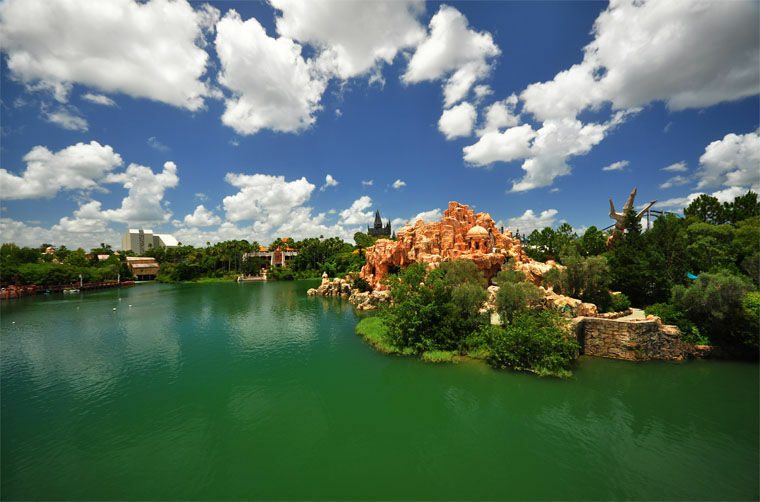 As well as the theme parks, Orlando is also known for its refreshing national parks or the botanical gardens. If you have enough of the lectures, business meetings or the touristic trips, being alone with the calming nature may be the thing that you need. Kelly Park is one of the most popular recreation areas in Orlando. You can relax by the lazy river or float down a tube watching the fish swimming. Rock Springs are among the most attractive areas in the park. So if you are in love with water and green, Kelly Park is just for you. Big Tree Park is named after the famous tree the Senator. The Senator that is located in Big Tree Park was a 3500 years old tree and it was the oldest and biggest pond cypress tree in the world before its burning down in 2012. Besides the Senator, the park offers natural marsh lands and picnic areas. Located in Winter Park, Morse Museum exhibits the largest collection of works by Louis Comfort Tiffany. In the museum you will find leaded-glass windows, jewelry, pottery and lambs by the designer and the artist. American art pottery and American decorative art or paintings are among other pieces that you can enjoy in the museum. Opened in February 2011, Morse Museum also houses Tiffany wing that you can see the Daffodil Terrace from the artist’s Long Island estate together with the architectural objects. For more information about the collections, programs and the events in the museum, you can visit the official website of Morse Museum. The museum is closed on Mondays and on the major holidays.